March | 2013 | "How Would You Fix...?" …why Mr. Sinister had the Marauders kill the Morlocks? When Claremont was forced from the X-titles in the early 90s it became another of his many “dangling plots”. When later writers revealed Mr. Sinister as a former servant of Apocalypse, theories arose that his master had deemed the Morlocks as not strong enough to survive and previously programmed him to do it. 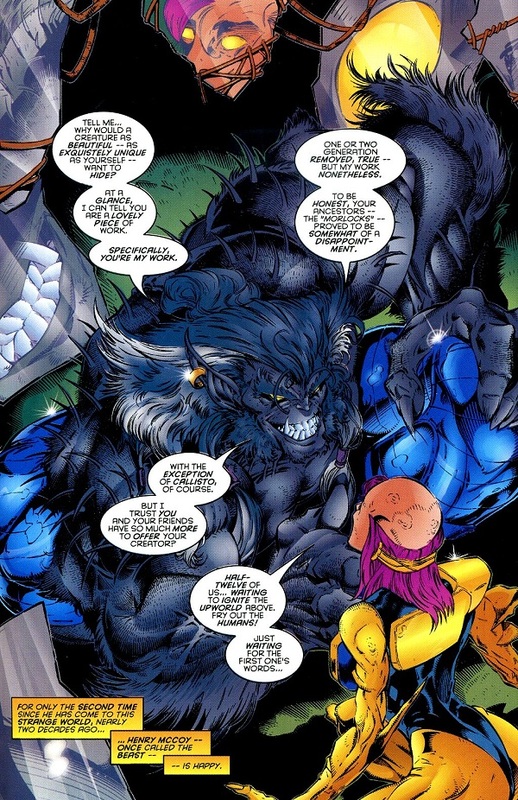 In the 10 years following Claremont’s original storyline, the Morlocks had been retconned into having been created by the Dark Beast, a refugee from the Age of Apocalypse crossover. In Cable #28 it is inferred Mr. Sinister recognised the Morlocks as being based on his own genetically manipulative style, given Dark Beast learned genetics from his AoA counterpart, and annoyed by the unauthorised use of his theories, sends the Marauders to wipe them out. However, wasn’t it a bit of a coincidence that the Morlock’s system led from their tunnels beneath Manhattan to Professor Xavier’s estate as stated by Colossus in Uncanny X-Men #243, p.19, and shown in New Mutants #90-91!? 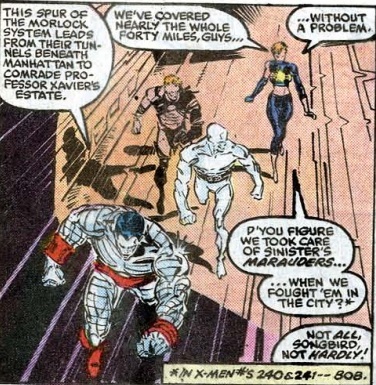 Figure 6: Colossus tells his teammates that the Morlock tunnel network leads from Manhattan to those directly beneath the hangar complex below Professor Xavier’s estate (Uncanny X-Men #243, p. 19). Coincidence!? 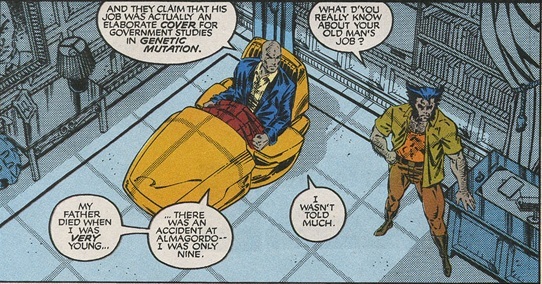 …along with fellow scientist Kurt Marko, father of the Juggernaut who went on to marry Sharon Xavier after Charles’s father died in a supposed accident at Almagordo. So there’s the thread to start my fix. That is, I would reveal that Brian Xavier’s death during his work at the research station, Almagordo, was not only an accident and connected with his smuggling some of Sinister’s REJECTS (i.e. the first Morlocks) out of there in order to prevent their deaths. But where would he safely hide them from Sinister? What if the network of tunnels beneath NYC revealed to have been constructed in the 1950s by the United States government for it and the military’s use, but later abandoned, was a cover story? Did Brian Xavier use his government and military connections to construct these tunnels, extending to beneath his mansion, thus providing Sinister’s REJECTS with a community where their distorted physical appearances would be hidden away from humankind’s prejudice? It also perhaps provided Xavier with a surreptitious means to get food, water, shelter and medicine to them. Did the Xavier legacy for mutant rights therefore not begin with Charles, but instead with his father Brian? I would posit that Brian’s efforts are eventually discovered by Kurt Marko who, fearing he would go to jail for his part in the Black Womb Program, kills him and makes it look like an accident. Brian’s untimely death prevents him from ever revealing the truth to Charles, and so the community is left to fend for itself and goes on to fall under the leadership of Callisto. 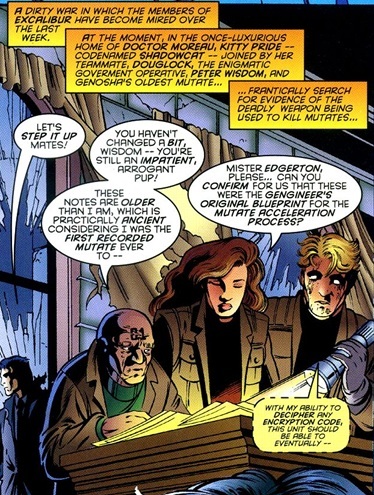 I would posit though that just prior to his death, however, Xavier manages to get word to people within the U.S. government sympathetic to the rights of mutants about Sinister’s experiments within the Black Womb Program. In the meantime, Marko reports what he has done to Sinister. Not wanting the full extent of his activities made public until his plans were fully formulated, Sinister moved his base off American soil. He reopens shop in Genosha, a nation sympathetic with his eugenic goals. They give him a free hand to continue his research, as long as the fruits of his labour provide their nation with significant economic benefit. Sinister exceeds even his wildest expectations, achieving both goals in the one action. You ask why I reveal Sinister as the mastermind behind the slave nation! 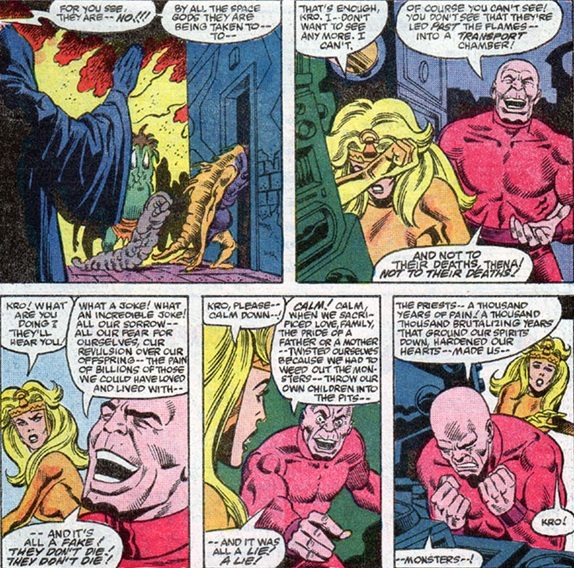 While any true X-Fan shouldn’t even be asking why I would retcon the grotesque oaf Sugar Man as the mysterious force behind Genosha, they should recall how X-Men: Prime, refers to Mister Edgerton (Genosha’s oldest and first recorded mutate) as the original Morlock (so yes I’m retconning AoA refugees Sugar Man and Dark Beast as the masterminds behind Genosha and the Morlocks respectively, and would instead reveal that McCoy only tampered with the Morlocks who became Gene Nation and took credit for their wider creation to establish his reputation as a villainous manipulator on par with the sinister vivisector). 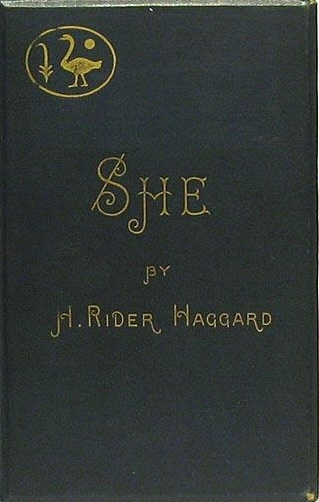 And so Sinister was, at first, tasked with finding the illegitimate daughter of one Lord Kelly (another recurring name) who was living in the “white ghettoes”… but even in the cesspool that was Victorian-era London too many missing people tended to draw unwanted attention, as became the case with those Whitechapel prostitutes. That is after subjecting four of them to Sinister’s tests, the Club and the aristocracy, fearing not only that this would lead back to them, but also fearful of what would occur had certain physical powers gotten into the genetic code of society’s lowest members, the prostitutes were executed. The Club, still desperate for genetically gifted bloodlines, facilitate a process whereby Sinister can continue to satisfy his need for genetically anomalous test subjects, and reward him with the position of doctor for London’s upper class. And so he finds a surprisingly flourishing trade as an obstetrician, and one patient in particular proves to be most helpful – the young woman by the name of Amanda Mueller. He helps Amanda vanish, and she becomes his most productive source of genetic material in the coming decades. After he helps Amanda hide from the London authorities, the Club decides it is time for them to take their show on the road, so to speak. During this time he founds his Nebraska base, among others. He decides that he should try and gather widespread information on the genetic diversity of American mutants. But how to do so without causing a stir? And then he realises the perfect means: The US government is looking for anything that might help them advance their power on a global scale. World War One is a terrible time, but it also provides him an opportunity to approach certain fellow members of the scientific community. It also allows him an opening into their uppermost circles of power. He uses this persona as he accesses the American branch of the Hellfire Club to seek government funding for what he claims is eugenics work. It isn’t that far off the mark, and is actually welcomed by the foolishly bigoted WASP power structure. What he is able to found is no less than Operation: Black Womb. They are eager to do so! The mentally ill, racially-undesirable prisoners – prisoners of all kinds, actually – the disabled … Black Womb hardly discriminates. He also is able to channel genetic data taken from socially acceptable people, culled from doctors’ offices across the country. The program begins in 1927, or at least the first phase. Brian Xavier is assigned to work with him to examine the effects of radiation on successive generations of humans. Sinister, of course, already knows the potential such mutagenic energy could have … but when Brian volunteers Charles’ pregnant mother for an ‘accidental’ exposure, Sinister is willing to oblige. Charles and Cassandra are the first product of Black Womb research. Sharon evidently miscarries Cassandra, but Sinister takes the still-living sister and places her with one of the foster families in his network – people he had indebted to himself through various means. Brian is initially terrified of the potential of mutants. That was part of the reason he wanted his children to be mutants – he hopes that Charles will be defence against rogue mutations. The irony really is delicious. 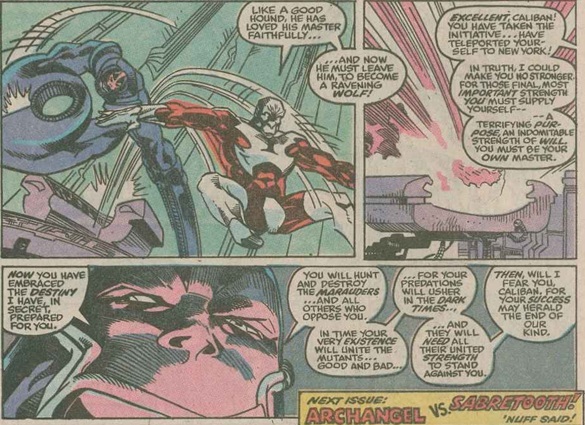 Around the same time, Sinister is asked to make his initial findings of mutagenetic advancement available to certain doctors involved in a very hush-hush project. When Captain America first appears, he knows that his work has finally borne fruit. 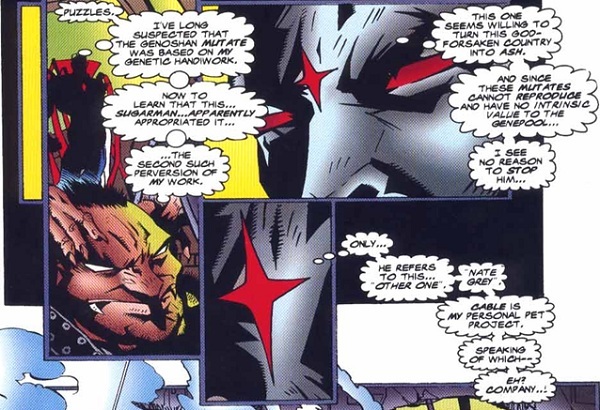 So Sinister is tangentially involved in the Super-Soldier Program. The doctors involved take mere theory and make it living, breathing flesh. I wonder if the good Captain would see it that way … but again, I get off the track. Black Womb funding becomes scarce as the war effort ramps up. Sinister is reassigned to OSS work. The Americans are worried that the Germans will use concentration camp prisoners in genetic testing, and possibly have breakthroughs on the scale of the Super-Soldier Program. 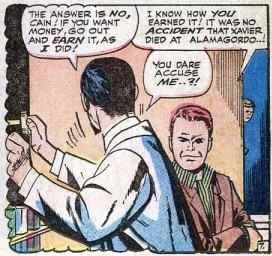 So, with the cooperation that always existed between the secret government of the United States and the Nazi government of Germany (lead by sympathetic secret societies via such aristocrats as Zemo and Strucker), he becomes a scientist in the camps, conducting his own highly secret scientific experiments … and making his own breakthroughs. He is far more merciful to his… subjects … than many of the so-called ‘doctors’ in those hellholes. He is the one who kills and replaces a certain German officer in Poland, and he transfers a young Jewish lad who was demonstrating unusual control over metals. You see, he could tell that Magnus was something special. If he could have, Sinister would have gotten him out of Auschwitz far sooner, but those damned Nazis were too attentive. To him, the entire Holocaust was a sickening waste of potential. After he leaves Germany, just as Berlin is falling, he loses track of Magnus… still wondering what might have been. In any case, he returns to America in late 1945, and finds Kurt Marko and Amanda Mueller still running Black Womb. The government has become quite aware of the potential of superhuman mutation, after witnessing the Invaders in action. The Super-Soldier Program becomes its own project, spinning off into the hands of eventually-deranged madmen, but Black Womb is permitted a certain degree of autonomy. Only Storm’s father, that is. Sinister regrets that he does not have time to diversify his analysis systems to a global reach. This would not come until after a series of catastrophes begin to spell death-knells for Black Womb. The first is the passing of Kurt Marko. Amanda and Sinister, being British emigres, are considered to be risky, at best, by their “black-budget” overseers. Also, they have a lack of tangible achievements following World War Two. The occasional breeding success, masked as a “miscarriage,” tends to be a low-powered mutant here or there, with a couple of exceptions – who have to be given to foster families because of security concerns. The second is, sadly, Watson and Crick. When their independent work into the genome becomes public, it becomes fashionable for government moneys to go towards “legitimate” genetic research – never mind the fact that Sinister is already 50 years ahead of those showboats. The third is the Red Scare. It’s difficult to recruit top scientific researchers when they’re being terrorised by obsessive right-wing paranoiacs. Also, military funding, which had been the foundation of Black Womb’s financial support, is being shifted towards other biological research programmes. Postscript: Did Apocalypse, perhaps onto Sinister’s scheme to betray him, secretly manipulate Brian Xavier at the Black Womb project, to smuggle its “Rejects” into the tunnels beneath Manhattan (?another of his abandoned bases?)? To answer this question I cast my mind back to how, after the Great Cataclysm, the Deviant priesthood was determined to destroy the Celestials for obliterating so much of their race and civilisation. Hence, the priesthood assumed a new function. At times designated as “Purity Time,” the priests would attempt to weed out those Deviants who were born with the most extreme and grotesque genetic differences from the others by publicly condemning them to death in the fire pits. Through this measure the priests asserted that they hoped to keep variation within the Deviant race’s genetic makeup within certain limits. However, in actuality, the priests did not kill the Deviants they supposedly condemned to death at Purity Time. Instead, the priests secretly placed them in a form of suspended animation called “cold-sleep.” Moreover, the priests used technological means to wipe the sleepers’ brains clean of their original personalities and to indoctrinate them to obey the priests unquestioningly when they finally awoke. Through this means the priests built what they hoped would be an army, loyal to them alone, with which they would one day challenge the Celestials. Over the millennia the priests’ sleeping army grew to number in the thousands. Could this not, in effect, be what Apocalypse was up to! 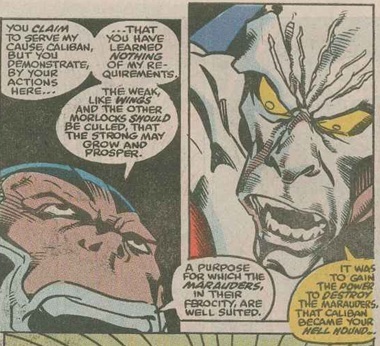 Recall how Caliban the Morlock became his “First Hound” (from Rob Liefeld interview by Cliff Biggers, Comic Shop News #142, 13th of April 1990) and would usher in the bleak apocalyptic future shown in the iconic Days of Future Past!? 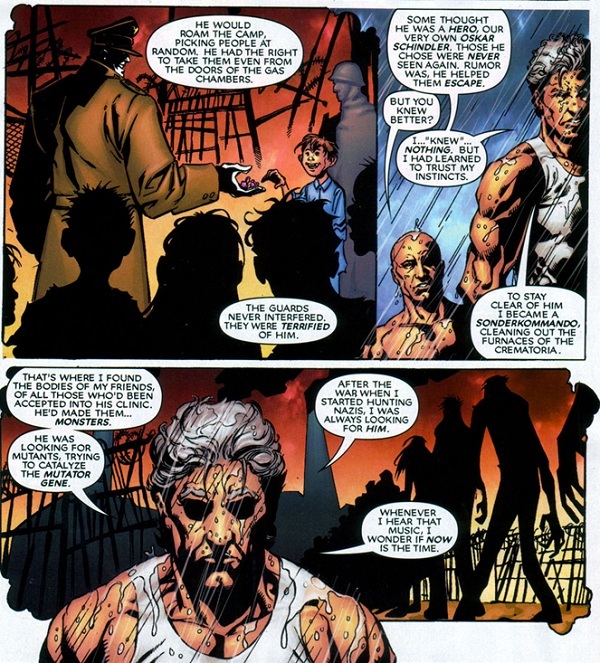 Did Apocalypse use Brian to supposedly condemn Sinister’s Rejects, whilst in reality he manipulated Xavier to move them to a safe place where he could use them later to shape his “Hounds” from and build a mutant army? 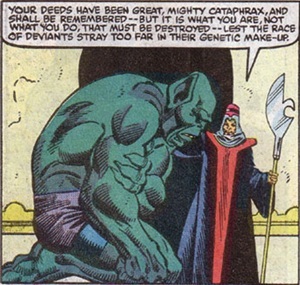 This is even more chilling, when one thinks that Apocalypse intended, like the Deviant priesthood, to challenge the Space Gods themselves, so was this the purpose of his planned mutant army? Had the technology he had pillaged in the Celestial Ship been left behind by the Dreaming Celestial, and this is where Apocalypse stole his idea from? I wonder if Cerebro’s failure to detect the existence of hundreds of mutants underneath New York City for so many years, yet being able to detect a single mutant presence half a world away, was intentional in its design! Did Brian have a hand in its initial design, and accounted for this as directed by Apocalypse? Did Sinister then discover Apocalypse’s plan to use these Rejects to recruit his Hounds from, and upon doing so ordered the Massacre enacted by the Marauders. 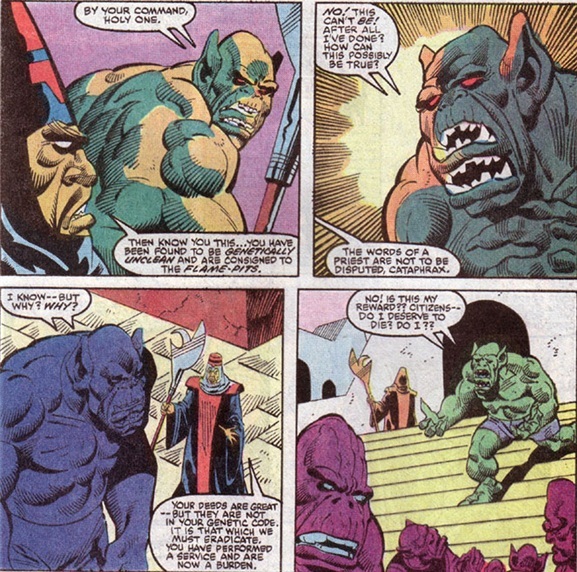 Perhaps Sinister also found out about Brian’s treachery, and convinced Marko to punish him for his betrayal. 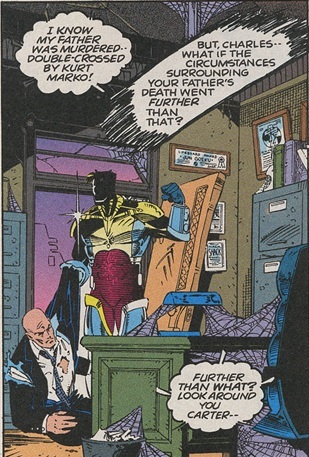 But Marko performed his assigned task too well, and killed Brian before managing to extract the information of where Xavier had hidden the Rejects. Is this why it took so long for Sinister to initiate the Massacre? To read more of my theories about his long-term plans check out …Apocalypse’s Twelve plot? A very big thank you goes out to fnord12 for his invaluable assistance compiling the obscure scans for this post. Fnord has taken on the nightmarish project of trying to physically assemble every Marvel comic and then write reviews/ breakdowns of them in chronological order at the Marvel Comics Chronology, and is a far far better man than I to wade into such murky waters. This fix comes from Percival Constantine, award-nominated author of New Pulp novels including The Myth Hunter and Love & Bullets. When he’s not obsessing over comics or movies (and we don’t mind if he does if we keep getting posts like this), Percival – an American living in Japan – also contributes to GaijinPot and JapanTourist. While waiting for Marvel to call him up, feel free to visit PercivalConstantine.com for more information or follow him on Twitter, @perconstantine. Grant Morrison’s run on the X-Men, spanning New X-Men #114-154, has been met with mixed reaction from X-Men fans. There are people who view it as definitive as the classic Claremont/ Byrne run, others who see it as a total bastardisation of the X-Men, and every single view between those two extremes. For what it’s worth, as a longtime reader of the X-Men, I personally found it to be a successful revitalisation of a book that had been suffering in stagnation for years. 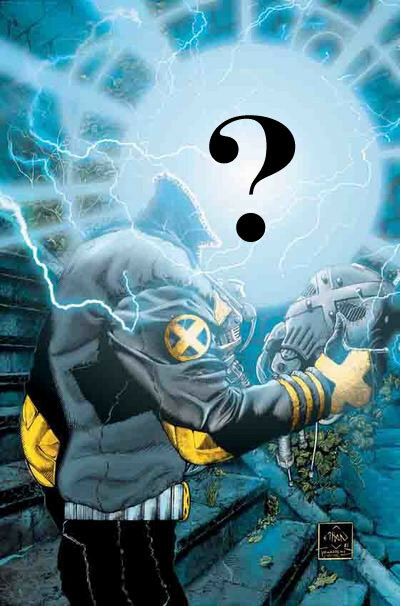 One aspect of his run, however, was met with great acclaim – the introduction of a new X-Man named Xorn. In the New X-Men Annual 2001, Morrison introduced Xorn as a Chinese man whose mutant power manifested itself while he was young, in the form of his brain transforming into a star. He was captured by the Chinese government and kept imprisoned in a prison called Feng Tu for “over half a century,” so it seems evident that Xorn’s powers also granted him longevity. After being sold to John Sublime, new age guru and founder of the U-Men, a group of humans who wished to graft mutant organs into their bodies in order to gain their powers, Xorn’s powers were unleashed and he was prepared to commit suicide by turning his head into a black hole. The X-Men, specifically Cyclops, intervened. Xorn said, “I could have built Heaven on Earth, if only they’d let me. I could have laid the foundation stones of paradise here on Earth.” Cyclops told him there’s still time and invited him to join the X-Men. 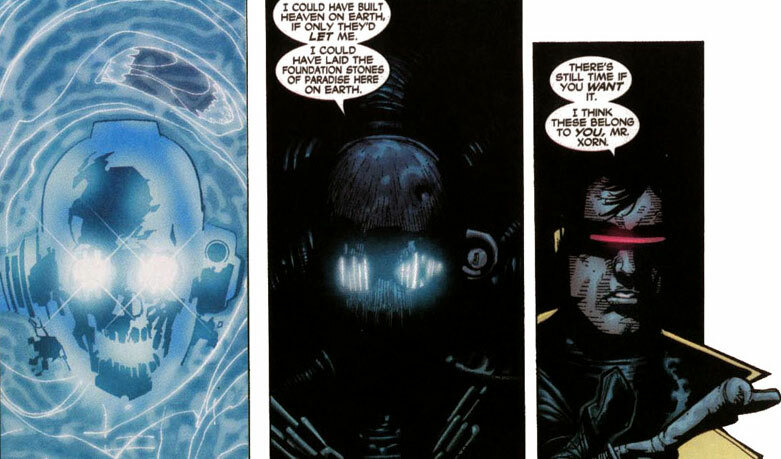 Figure 2: Cyclops invites Xorn to join the X-Men (from New X-Men Annual 2001, page 39). Despite accepting the invitation, Xorn didn’t appear with the X-Men right away. Instead, he went to a Buddhist monastery for healing until Cyclops came to collect him right before Cassandra Nova manipulated the Shi’ar Empire into attacking the Earth (New X-Men #122). Following the defeat of Nova, Xorn remained with the X-Men and became the teacher of the Xavier Institute’s “special class” – mutants who were outcasts even in a school of mutants. For the most part, Xorn appeared to be a kind, spiritual man. But a dark side was hinted to as well, such as when he foiled an attack by the U-Men by killing them and telling Angel Salvadore, who witnessed it, that it would be their little secret (New X-Men #136). 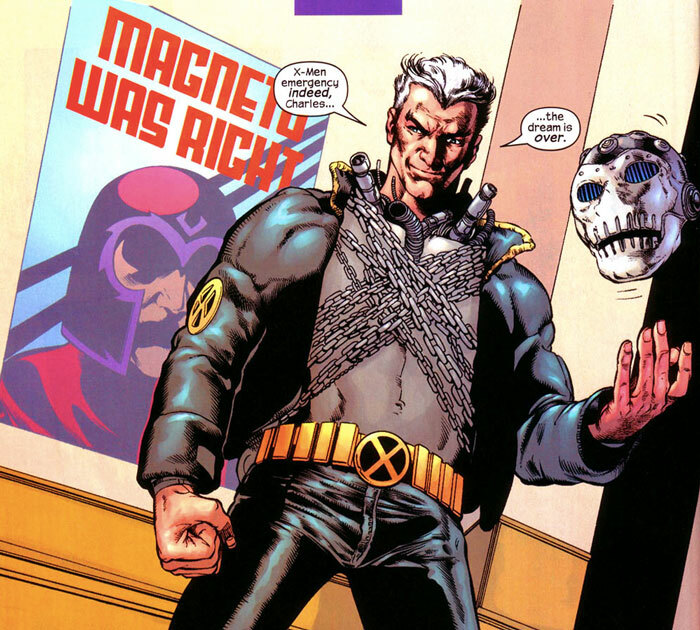 Figure 3: Xorn reveals he was Magneto all along (from New X-Men #146, page 22). 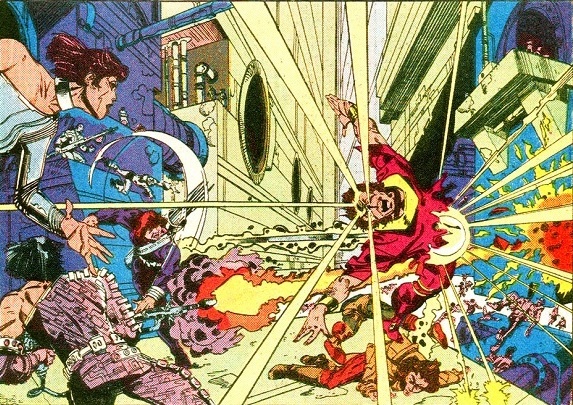 Many fans criticised this turn of events, claiming that Morrison had simply chosen on the fly to turn Xorn into Magneto and that his earlier stories contradicted the revelation. However, looking back, most of Xorn’s appearances did indeed contain hints and clues, as well as ambiguous uses of his powers. The only real healing abilities Xorn displayed were in the Imperial story-arc, when he got rid of the Nano-Sentinels that had been infecting the X-Men (but given Magneto’s powers, it’s hardly beyond his capability to disable metal nanomachines). And he stated that he used the Nano-Sentinels in Xavier’s body to repair his spine, enabling him to walk. Most other times, Xorn claimed he was unable to heal for whatever reason. New X-Men #138 actually provides more insight into the Xorn is really Magneto theory – Quentin Quire’s use of Kick triggered a secondary mutation and his powers were growing and Xorn was summoned to heal him. Quire’s words here prove insightful: “What if we were both wrong, Professor X…and it wasn’t humans to blame at all? What if the real enemy…was inside all along?” Xorn then uses his powers on Quentin, seemingly helping him to ascend to a higher plane of reality, but what he could have been doing was silencing the one man who had begun to see through his disguise. The real enemy being inside could have been seen as Sublime or Magneto, it works both ways. However, Xorn as a disguise is problematic, even without everything that happened later (and I’ll get to that in a moment). Many people point to New X-Men #127 as proof that Morrison didn’t intend for Xorn to be Magneto, because it involves Xorn meeting an old friend of his uncle’s. 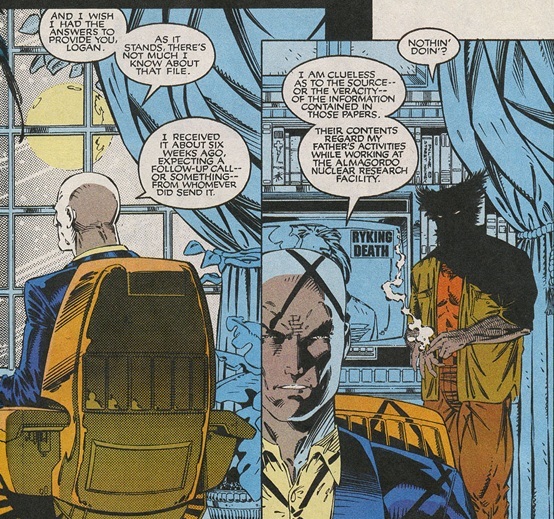 However, at the end of the issue, the narration states, “You wished to see my thoughts and were blinded by the sun beneath my mask, Professor Xavier…so I have tried to capture my feelings for you, in the form of symbols here on this book of paper leaves.” The entire issue was a journal entry Xorn wrote for Xavier, so it’s the very definition of unreliable narration. Instead, the most problematic issue is Xorn’s very first appearance. In it, Emma reads psychic imprints off the keys to Xorn’s helmet and sees his memories. Two, one of the U-Men present states that Xorn is opening a black hole, something that Magneto shouldn’t be able to do. Three, Magneto said he constructed Feng Tu with the help of his supporters in China. While it is possible Magneto could have had a telepath imprint the keys with false memories (he’s already shown to have supporters in China), the timing is suspect. After all, Magneto was shown in a wheelchair during the Sentinel attack in Genosha, which occurred right before Xorn’s first appearance. In fact, Xorn’s appearance in the Annual could “only” have occurred immediately following the destruction of Genosha – Beast is present in the issue, and he was incapacitated by Cassandra Nova following that story-arc. That’s not a lot of time for an injured Magneto to go from Genosha to China, construct a fake mutant prison, and arrange for Sublime to turn up. 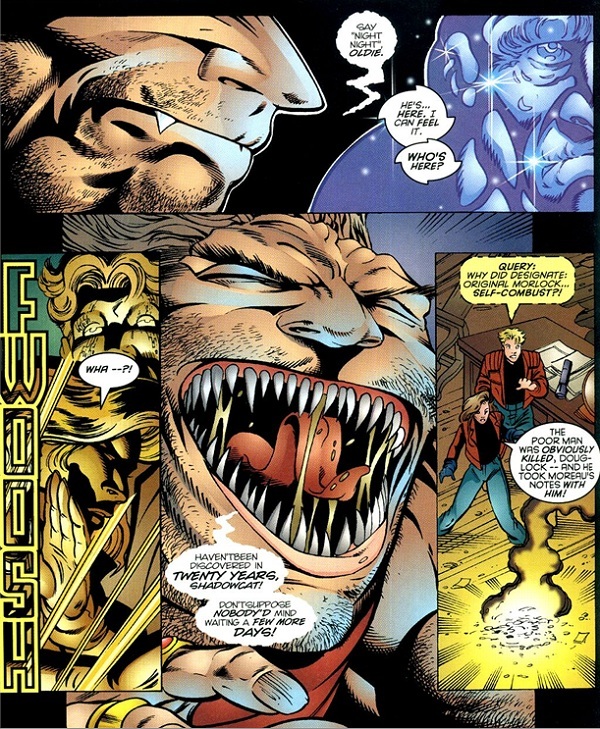 Figure 4: Shen Xorn attempts to explain the events of Planet X (from X-Men #162, page 3). Chuck Austen’s run, which was also subject to profound criticism, was cut short with the conclusion of his Heroes and Villains story-arc, and his final issue, X-Men #164, ended on a cliffhanger that has (as of this writing) remained unresolved). Shen Xorn removed the Brotherhood through the use of his black hole (all later turned up alive) and chose to leave the X-Men. In the final pages, the X-Men’s nurse, Annie, was leaving the school with her mutant son, Carter. He was in the backseat talking with someone and Annie asked if he had an imaginary friend. Carter replied, “Her. It’s a she. And she’s not imaginary, Mom.” The final panel of this issue showed Carter with a sinister grin on his face and psionic eyes hovering next to him. Austen revealed in an interview that he planned to reveal this as Cassandra Nova. It’s not hard to see that, given Austen’s original plan to bring back Nova, it seems that this hateful, malevolent individual Shen Xorn said controlled his brother was Nova herself. Of course, this causes numerous problems. For one, Morrison already revealed in New X-Men that Sublime was behind virtually everything, from the Weapon Plus Project to the Riot at Xavier’s to Magneto’s actions in Planet X. Furthermore, Nova was mind-wiped at the end of the Imperial arc, placed in the body of deceased Imperial Guardsman Stuff, programmed to learn. Shortly after Imperial, a new student, a young girl named Ernst, with facial features that resembled Cassandra’s, appeared at the Institute. Magneto commented on this, stating that he always suspected there was more to her. And in the future of Here Comes Tomorrow where Cassandra is redeemed and a member of the X-Men, she tells Martha, “Why of course you can still call me Ernst, dear.” Austen confused this in X-Men #155 when he showed Beast and Cyclops investigate Cassandra’s empty cell. However, as Magneto/ Xorn was unaware of Ernst’s origins, it’s quite possible that only Xavier and Jean knew of this. Brian Michael Bendis did attempt to resolve this in House of M #7, when Doctor Strange says to Wanda: “Did you create your father as well? I’d heard rumors of his death last year, and his somewhat puzzling rebirth before all this became…what it became. I wonder, was that you as well? How long have you been playing with the world?” The suggestion here is that Wanda watched her father’s actions in Planet X with horror and perhaps subconsciously used her powers to recreate him in Genosha the way she wanted him to be. 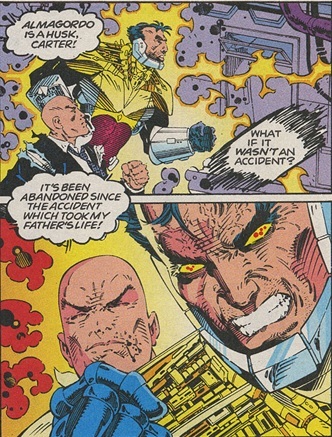 After all, despite fan objections to Magneto’s portrayal in Planet X, he had displayed genocidal tendencies prior to Morrison’s run, most-recently in Lobdell’s Eve of Destruction arc. Also in Magneto: Dark Seduction, he and Wanda had harsh words to exchange and this was (apparently) their final meeting before Planet X. Could Wanda have attempted to undo all this by re-creating Magneto as the more honourable man he was instead of the despot he had become? There is precedence for this in the Marvel Universe – when Franklin Richards resurrected the Avengers and the Fantastic Four in the wake of Onslaught, he did so in forms he recognised, thus the Wasp was restored to human form instead of her mutated insect form, Tony Stark was now middle-aged instead of a teenager, and even Hawkeye’s hearing was restored (all covered in Avengers Annual 2001). And Wanda has proven to have the ability to resurrect (or recreate) people, Hawkeye was restored to life in the wake of House of M as well. Avengers #20, when the energy of all the de-powered mutants, now called the Collective, was being guided by the consciousness of none other than Kuan-Yin Xorn (something that seems even more bizarre given that Kuan-Yin died long before House of M). For argument’s sake, let’s say that Shen’s knowledge of his brother’s actions was due to them having a rapport, and perhaps Kuan-Yin’s consciousness survived inside Shen. Taking this further, Shen was one of the de-powered mutants of M-Day, so this explains how Kuan-Yin could have existed within the Collective. Figure 6: Xorn, controlling the Collective, re-powers Magneto (from New Avengers #20, page 6-7). Now what about Planet X? It could be said that this was all part of Sublime’s plan. In New X-Men #145, the “Boss” of the Weapon Plus orbital facility says, “Our informant within the Xavier Institute tells us of a build-up of arms and soldiers, and a major new mutant threat to human security. …In less than two weeks from today the sleepers will wake from their tanks and mutantkind will be exterminated, humanely.” Also in New X-Men #150, the Secretary of Defense tells the President while watching footage of Magneto, “do we need any more proof that mutants are our natural enemies? This is why they destroyed our Weapon Plus Super-Soldier Initiative. The human race must not go gently into the night, sir!” Sublime, in New X-Men #154, states, “These mutations, with their potential to breed strong, invulnerable offspring, were the first real threat to our eternal dominion. … We had to infect them with aggression, had to divert their great energies into mindless conflict. Locked in perpetual struggle, they could never breed, their population could never grow to threaten us with extinction. The supermen fight and die and return in a meaningless shadowplay because we make them do it.” It is clear that Sublime intended to keep mutants locked in war, and what better way to do that than by having the world’s most-feared mutant attempt global genocide? But, neither Sublime nor Xorn ever appeared to possess the ability to change appearances. And while Xorn’s gravitational powers could have easily been used to mimic magnetism, it doesn’t account for how he was walking around with Magneto’s face, and how even without his helmet on, no one died from exposure to the unshielded star that was his head. There has to be another explanation. While researching this, I stumbled upon an interesting line from Bishop in New X-Men #140. While investigating the murder of Emma Frost, Bishop tells Xavier, “there’s something else I have to bring into the equation, Professor…you’ve been possessed before. In a world of mind-readers, shape-changers and disembodied consciousnesses…crime takes on a whole new meaning.” My first thought went to the Shadow King, but it was a recent event in Marvel’s new Uncanny Avengers that brought the whole thing into focus. voice says, “Yes, indeed, a historic time…the day the Onslaught began” and the last page is a splash of Onslaught with the face of the Red Skull. This, to me, provides a solution to wrap everything up. 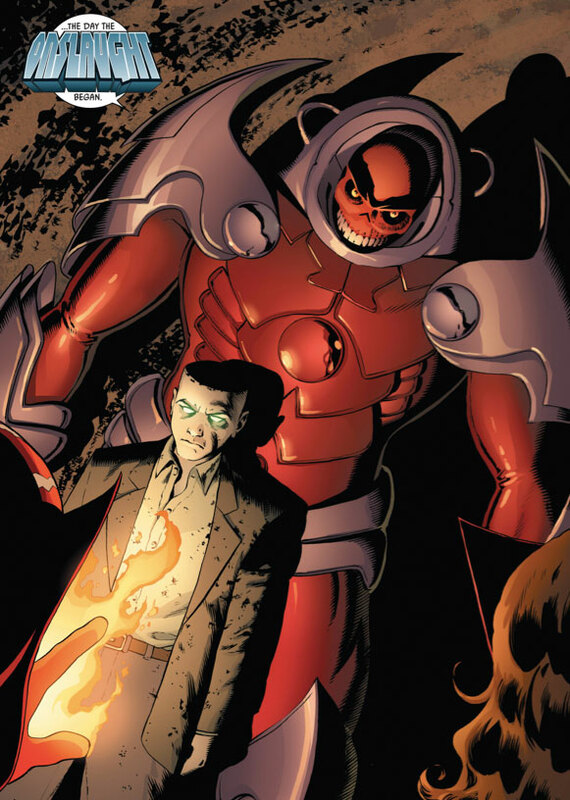 Xorn nor Sublime would have the power to make people believe they were seeing Magneto in place of Xorn, but Onslaught, being birthed from the consciousnesses of both Magneto and Professor X and possessing near-godlike powers in the past, could reshape reality to make it look like Magneto. The events of Uncanny Avengers show that Onslaught does still exist in some form within Xavier. Here is what I think happened. 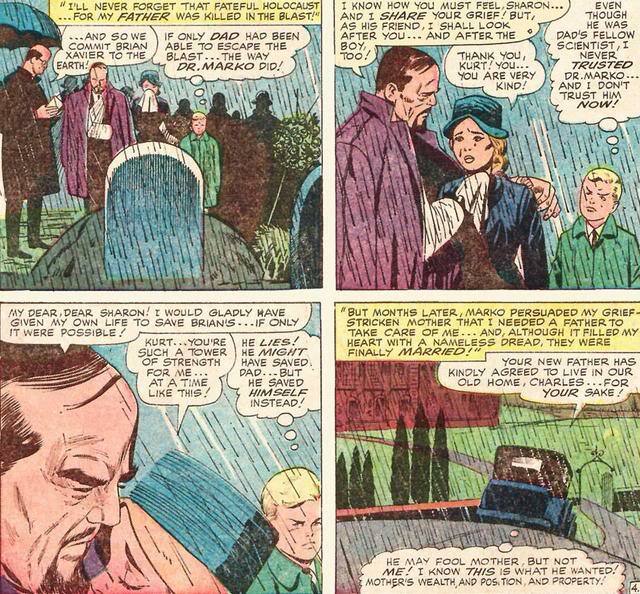 In New X-Men #125, to save Xavier from Cassandra’s dying body (which she imprisoned him in), Jean stored Charles’ entire consciousness into her brain. Parts were slipping away and she was having difficulty containing him, so in issue #126, she then used Cerebra to break apart Charles’ consciousness and spread it around to every mutant on Earth. Thus, when Cassandra (in Charles’ body) connected to Cerebra, she inadvertently gave Charles the means to return to his own consciousness and force out Cassandra and the Mummudrai. This was when Emma tricked Cassandra into putting her consciousness into the deceased form of Stuff, thus trapping herself. But what if a part of the Mummudrai remained within Xavier? After the events of Imperial, he seemed a little different. In issue #128, he said, “It’s been a long time since I’ve felt this good. Or this…nervous. No more need to hide our mutant natures. No more human rules.” Jean even warned him that he sounded like Cassandra and he said, “She was right to reveal us to the world. … In trying to do evil – in trying to expose mutants to their enemies, she freed us from a self-imposed exile. I see her now as an agent of nature, testing its own boundaries, forcing change into stalemated systems.” And later, in issue #130, Xavier tells the authorities who arrive in the Eurotunnel, “We’re in no mood to play chimpanzee politics.” That doesn’t seem like the kind of thing a man like Xavier would say, more like something Magneto might say. Onslaught, or at least a part of him, had been reawakened within Xavier. Confused, disoriented, not knowing who he was. He’s not yet strong enough to pierce Xavier and the other X-Men are well-trained against an invasion of that sort. 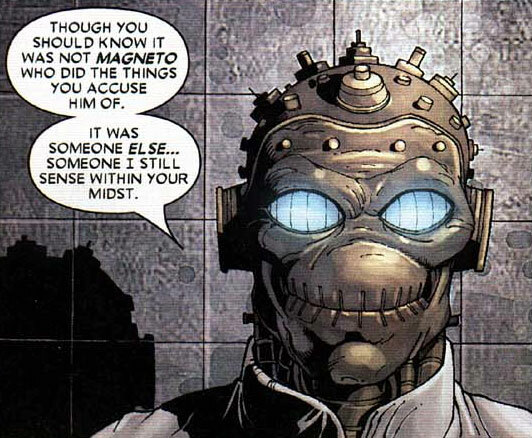 But Xorn, the newest and perhaps most naive of the team? Perhaps that’s a different story. Onslaught, disoriented believes himself to be Magneto, and so Xorn begins to think of himself as Magneto. Use of the Kick drug only enhances this feeling, as well as boosts Onslaught’s abilities, allowing him to affect the kind of manipulation to make himself physically become Magneto. And after Xorn is killed by Wolverine, Onslaught finds a way to survive, either back within Xavier or within another X-Man temporarily. And finally, all of this connects to an ongoing story-arc and helps to explain the re-emergence of Onslaught. While Storm started out life as common street thief, her lineage is far from humble. Chris Claremont planted seeds throughout his original run on Uncanny X-Men that she was descended from an ancient line of African sorceresses, including Uncanny X-Men #160 and the Magik mini-series where the alternate Ororo whom Illyana and the X-Men meet in Limbo says she’d turned to her magical heritage when her weather-control powers faded with old age. 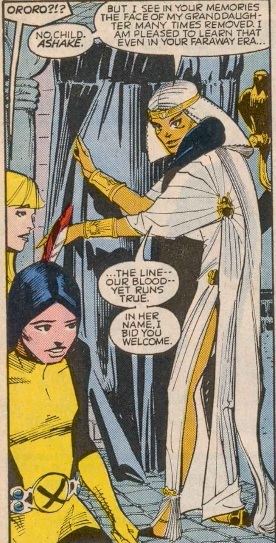 Claremont builds on this plot further by revealing that this ancient line of sorceresses also possessed Storm’s trademark white hair and tampetumus eyes when, in New Mutants #32, he has Magik and Dani Moonstar teleport to Pharaonic Egypt while fleeing the Shadow King where they are aided by a mystic of high renown bearing an uncanny resemblance to Storm, including the blue eyes and white hair. This mystic is called Ashake, and tells the new mutants Ororo is her granddaughter many times removed. Then, in Uncanny X-Men Annual 2006 Claremont reveals that her mother, N’Dare’s brother Shetani had rebelled against the tribe’s traditions, feeling discriminated against within the female-led tribe. This is suggesting it is the females in the family that inherit the mystical power (the white hair and tampetumus eyes being the indicator manifesting every five generations). Her uncle Shetani, while bald, had brown eyes so while he felt discriminated against, if he didn’t have the mystical-carrying genes he couldn’t contain the power anyway (unless it came from the females being put forward over the males to consort with some mystical race). …the explanation for this magic ancestry has been RIGHT THERE… and yet none of us saw it, but how in the hell could we have MISSED it? Faltine are entities composed of pure magic energy. Certain ones of them were able to take on human forms, Dormammu and Umar for example. 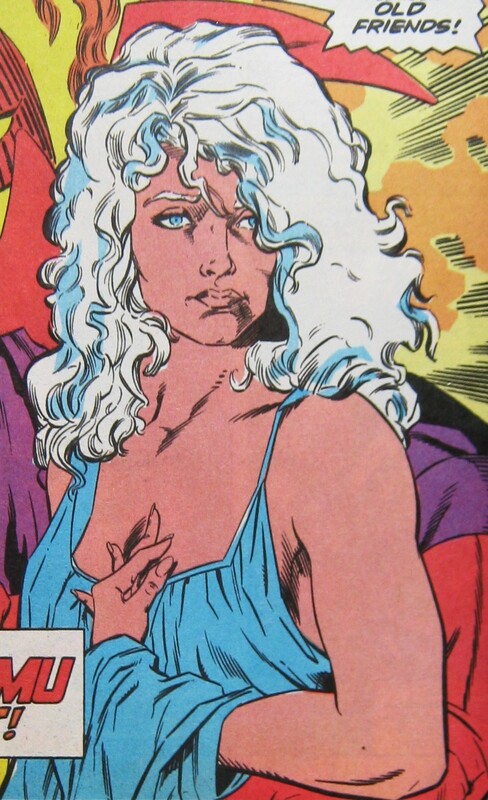 When a Faltine and a mortal procreate, the product of this union results in the child having WHITE HAIR and BLUE EYES, with exceptional magic potential (Clea being the Marvel Universe’s leading example). 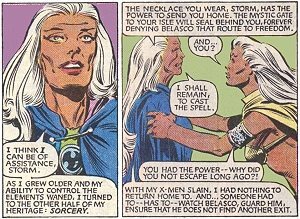 Now we all know Storm’s ancestry is priestesses and sorceresses, and they were exceptional magic users, and all those with such power had the tapetumus eyes and white hair. 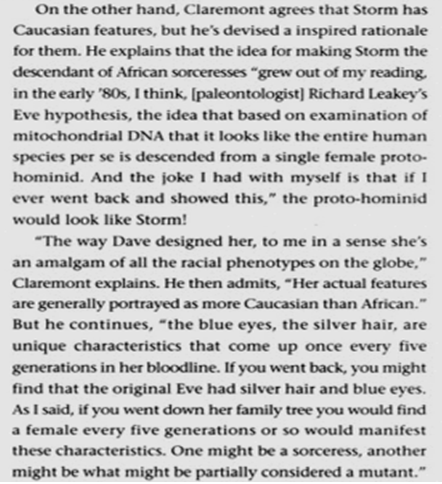 So has the secret to Storm’s magic ancestry, including her tapetumus eyes and white hair, all along been pointing to their being an inherited trait from a Faltine ancestor? And just look at the similarity below between Clea when transformed into a Faltine magical energy creature (from Marvel Team-Up #77 by Claremont) and Storm’s powers out of control (from Uncanny X-Men #147 & #172). Figure 7: Can anyone say “Flames of Regency”? Note: Was it perhaps the Faltine who promised Storm to the Shadow King so long ago as he suggested in Uncanny X-Men #265? 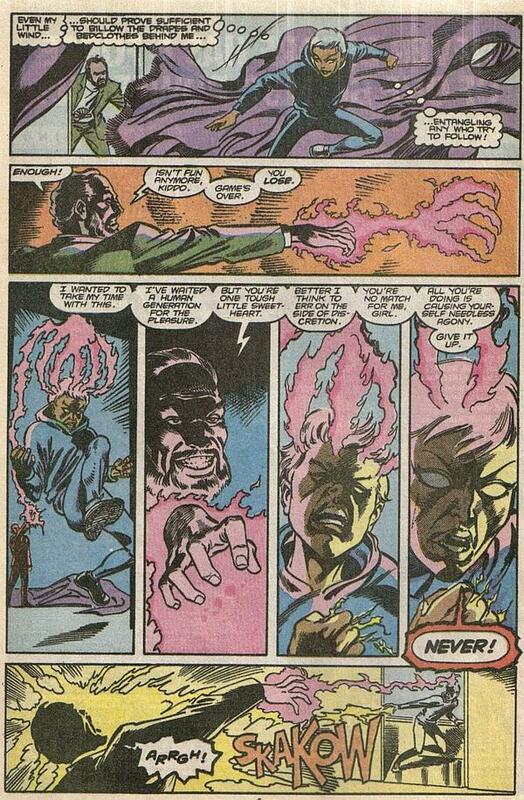 Why did the Shadow King REALLY want Ororo? And who did Claremont intend the “Bright Lady” to be?